Hear directly from 2017 BCA 10 honorees about why they partner with the arts and learn how to create successful partnerships with the businesses in your community. Each year the BCA 10 honors ten businesses that have been exceptional partners with the arts. These companies set the standard of excellence and serve as role models for other businesses to follow. Hear directly from 2017 honorees about why they partner with the arts and learn how to create successful partnerships with the businesses in your community! Learn how businesses are partnering with the arts programmatically to fuel community development, and determine the best tools, talking points, and approaches for starting conversations with businesses in your community. Also, consider the businesses in your community that are supportive of the arts, and consider nominating them for the 2018 BCA 10 award to honor their commitments to the arts, deepen their engagement with the sector, and strengthen your relationship with them. Peter Shaindlin is recognized as a leading visionary and change agent in the global luxury hospitality industry. He has played an active role in the arts and culture community in Hawaii for more than a decade, facilitating philanthropic efforts and initiatives through the encouragement of partnerships between community institutions. Halekulani Corporation’s current partnerships include Iolani Palace, Hawaii Symphony Orchestra, the Bishop Museum and Hawaii POPS (of which he is a board member), Chamber Music Hawaii, Hawaii Theatre, Hawaii Opera Theater, University of Hawaii, Pacific New Media, Hawaii Book & Music Festival, Honolulu Museum of Art, and title sponsorship of the Hawaii International Film Festival. He is on the executive board of Hawaii Arts Alliance, Hawaii Pops, The Merwin Conservancy as well as the International Luxury Hotel Association, and is a past Chairman of the Honolulu Symphony. An internationally recognized cultural critic and active worldwide keynote speaker on luxury-related topics, he is a visiting fellow and research scholar at University of Oxford, Harris Manchester College SRI, having performed research and scholarship on the leadership of iconic institutions. Shaindlin is a candidate for the Graduate Diploma in Global Business at the University of Oxford’s SAID Business School. Nancy Rogers serves as president of the Lincoln Financial Foundation, and as senior vice president and head of Corporate Social Responsibility for Lincoln Financial Group. In these roles, Rogers oversees sustainability strategy and practices, corporate philanthropy, and volunteerism. 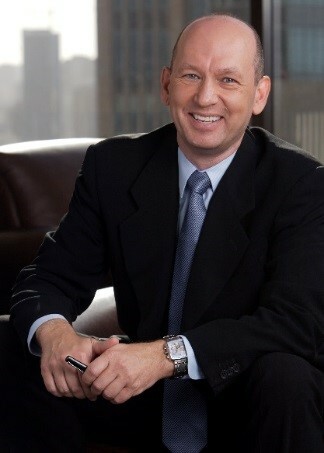 Prior to this role, Rogers was senior vice president of Talent Management and Development, and led programs that advanced the leadership and organizational development priorities of Lincoln. She served as a member of the human resources council responsible for corporate-wide human resources governance. Before joining Lincoln Financial in 2005, Rogers helped launch the Kimmel Center for the Performing Arts in Philadelphia, where she was vice president for Institutional and External Affairs. As a member of the founding senior management team, she was responsible for the original organization design and staffing, as well as oversight of the general counsel’s office and government affairs. Rogers subsequently led the organizational transition from construction project to operating entity. She joined the Kimmel Center after a 20-year career in banking with CoreStates Bank and First Union (now Wells Fargo) in Philadelphia, ultimately serving on the senior leadership team as Chief Administrative Officer reporting to the CEO. Jessica received her BS in Marketing from Drexel University. She worked in Marketing for years before transitioning to Arts Administration. As a lover of “all things creative”, her dedicated commitment to the arts has taken shape through her work in arts education where she has served thousands of students. Before joining Americans for the Arts in June 2016, she managed Education Programming and Outreach for the New York International Children’s Film Festival where she served 2,500 New York Public School students. Prior to that role, she worked as Arts Education Project Supervisor with the City of Atlanta Mayor's Office of Cultural Affairs since January 2012 where she served approximately 35,000 students each school year. She enjoys building and managing relationships with business and corporate professionals, arts and culture institutions, and city officials. Jessica has been a Board Member for the thriving, innovative, and experimental Dashboard since November 2012 and the lively and edgy T. Lang Dance since Spring 2015. She has a passion for dance arts and has worked as an independent dancer and choreographer since 2000. Jessica enjoys popping into Broadway shows, bike riding, and exploring new neighborhoods. REGISTER FOR THIS BRIEFING TO BE NOTIFIED WHEN A RECORDING OF THE CALL IS POSTED. Join us as we discuss the information outlined in our statement. As always, you'll have the opportunity to ask questions of Americans for the Arts staff. Sign up, call-in, and join the discussion! Please note, to join the call you must first access the platform on the right-hand column. If you will be viewing the live event on your ipad or iphone you will need to download the MobileMeetings APP By E-STREAM.COM, Inc. and enter the meeting number: 437081. Recently, many policies have been enacted at the state and federal level, which deal with LGBT youth in schools. The arts have long been a safe haven for LGBT youth and research shows the impact of arts education for young people who identify as LGBT. What is the role of the arts in the education of LGBT youth? How do we enact policies of equity to address these issues? As an arts education supporter, connect with experts in this field, learn the language of the work, and identify new ideas to inform your path forward. Vic Quintanar is a trained Stage Manager with a commitment to merge access to the arts with the intersecting identities of LGBTQ youth. Vic received their Bachelor’s degree in Theatre from the University of Southern California in 2012, and is a recent resident of Boston, from San Diego, California. In the last decade, Vic has served as a teaching assistant, arts administrator and production manager with various theatre companies in Southern California. They recently received their Master of Education from the Arts in Education Program at the Harvard Graduate School of Education. They are elated to begin their journey with PYTA and the greater Boston community. Nick Bazo- Associate Director of Programs joined The Theater Offensive full-time in January 2011 after working with TTO for several years as a Director, Actor, and Teaching Artist. He grew up in a Cuban-American family in Florida where he earned his BA in Theatre from Rollins College and an MFA in Theatre for Young Audiences from the University of Central Florida. 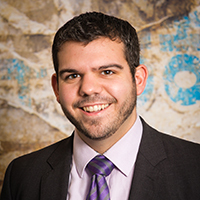 At TTO, Nick helps to brainstorm, develop, and implement all OUT in Your Neighborhood programs. In particular he focuses on True Colors where he is the lead artist collaborating with LGBTQA youth to create original works of theatre. Sidney joins the stellar TTO staff as the Youth Programs Manager. His introduction to TTO came through a chance encounter at the 2012 Creating Change conference. As an Arkansas native, Sidney taught Theatre & Speech Communications at Episcopal Collegiate School and worked for the Arkansas Repertory Theatre. His current work merges Applied Drama & Theatre techniques with LGBTQA youth ensembles. One of his favorite workshops to teach is Hip-Hop Theatre because of the fusion between multidisciplinary arts and culture. In his spare time, he enjoys the occasional jazz dance class or seasonal ale. Sidney holds a BA in International Relations from Hendrix College and a MFA in Drama and Theatre for Youth & Communities from The University of Texas at Austin. Sidney’s spirit animal is the elephant. English Language Learners are a growing student population in Americans schools. Recently, many policies and increasing amounts of research is being conducted on ELLs. What is the role of the arts in the education of ELLs? How do we enact policies of equity? As an arts education supporter, connect with experts in this field, learn the language of the work, and identify new ideas to inform your path forward. Merryl Goldberg is a Professor of Music at California State University San Marcos and Director of the ART=OPPORTUNITY campaign of Center ARTES, a university center dedicated to restoring arts to education. Her publications include Arts Integration: Teaching Subject Matter Through the Arts in Multicultural Settings 5th edition (2017) as well as other books, articles, chapters, editorials, and blogs. She has received numerous research and programmatic grants including Federal Department of Education Arts in Education Program, Fulbright-Hays Foundation, National Endowment for the Arts, California Arts Council, Stuart and Panta Rhea grants. Merryl’s undergraduate degree is from New England Conservatory of Music, and her doctorate is from the Harvard Graduate School of Education. Prior to entering academia, she recorded numerous CDs and was on the road for 13 years playing the saxophone with the Klezmer Conservatory Band. 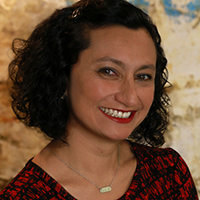 Francisca Sánchez is a poet, “word weaver,” educator, and former English Learner. She is CEO of Provocative Practice™, an educational consultant organization. She recently retired as Associate Superintendent for Educational Services with Hayward Unified School District. She has served in a variety of leadership, administrative, and teaching positions at the district, county office, regional, and state levels, including as Chief Academic Officer for San Francisco Unified School District and Assistant Superintendent for Curriculum & Instruction with the San Bernardino County Office of Education. She also served as president of the California Association for Bilingual Education for two terms. Hector DeLeon is a 4th grade teacher at Vista Academy and has been teaching at Vista for 23 years. It is widely believed that the arts can provide a pathway to enhance learning for students with disabilities. Recently, many policies and increasing amounts of research has been conducted on the impact of arts education for students with disabilities. What is the role of the arts in the education of students with disabilities? How do we enact policies of equity to address these issues? As an arts education supporter, connect with experts in this field, learn the language of the work, and identify new ideas to inform your path forward. Jenna Gabriel is the Manager of Special Education at The Kennedy Center, where she supports all education initiatives affecting students with disabilities or their teachers, including the annual VSA Intersections: Arts and Special Education Conference. Ms. Gabriel was previously based in Boston at IBA-Inquilinos Boricuas en Acción, where she designed and supervised out-of-school-time programs for ELLs and struggling readers. Ms. Gabriel is the Founding Executive Director of Daytime Moon Creations, a NYC-based nonprofit that provides arts programs to children with disabilities, and has led arts-based special education programming throughout NYC. Her most recent publication, “Use of Theatrical Techniques and Elements as Interventions for Autism Spectrum Disorders” was released in 2016 by Bloomsbury Press. She travels frequently to promote arts learning for students with disabilities, and works with teachers, school districts, and arts organizations to build capacity to reach diverse learners in and through the arts. Ms. Gabriel holds a BFA with honors in Drama from New York University's Tisch School of the Arts, and studied Intellectual Disabilities and Autism at Teachers College, Columbia University before completing her Masters in Education at Harvard University. 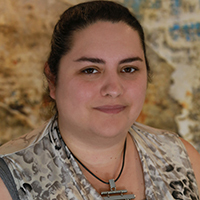 Sunnylee Mowery is a graduate of Moore College of Art & Design’s Masters in Art Education with and Emphasis on Special Populations Graduate Program. She has taught for nearly a decade in public, community, and Montessori school settings. 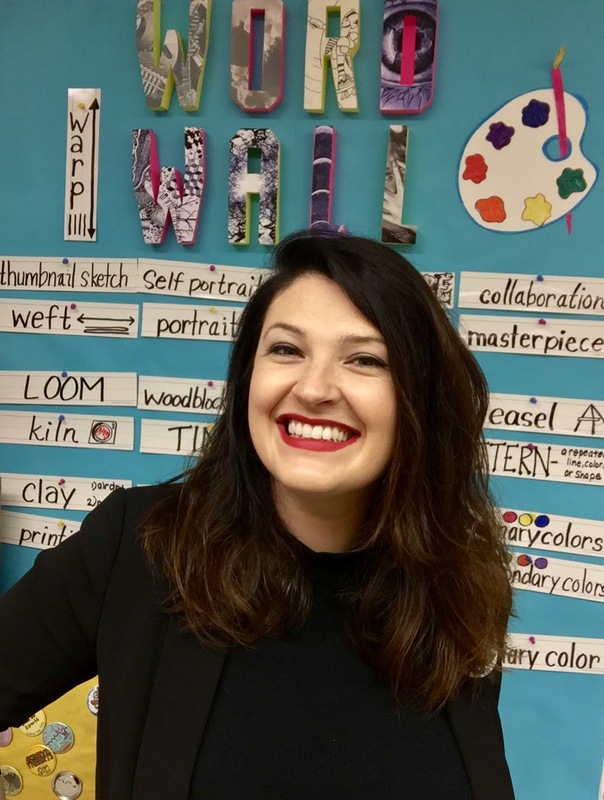 She has also served as the Director of Art Education with Young Audiences of Western New York, a non-profit arts organization that helps professional artists engage young people in creative learning through the arts. She is a graduate of Tyler School of Art who granted her the 2007 Essie Baron Memorial Award for unusual promise in the field of art education. Arts education should be offered wherever young people are, including jails or detention centers. Recently, many policies and increasing amounts of research is being conducted on the impact of arts education in transforming the juvenile justice system. What is the role of the arts in the education of incarcerated young people? How do we enact policies of equity to address these issues? As an arts education supporter, connect with experts in this field, learn the language of the work, and identify new ideas to inform your path forward. Read the full statement in the Arts Mobilization Center. Join us as we discuss the issues outlined in our position statement as well as examples and next steps. As always, you'll have the opportunity to ask questions of Americans for the Arts staff, but after the Briefing, you'll have additional time to discuss the trends, challenges, and solutions you're seeing in your community during a 30 minute open conversation lead by a member of the Public Art Network Council. If you will be viewing the live event on your ipad or iphone you will need to download the MobileMeetings APP By E-STREAM.COM, Inc. and enter the meeting number: 435995. Arts & Business Council of New York is offering a three-part training for artists and arts organizations who work across all disciplines to develop or hone their creative services specifically with the business community in mind. This digital classroom is intended for artists and arts organizations who are interested in building corporate partnerships by offering arts-based workshops that engages groups of employees. Subsequent modules two and three will be launched in Winter ’17 – 18. Understanding of what constitutes an arts-based employee engagement service. Familiarity with the various types of successful services. Guidance on developing your employee engagement workshop. Analysis of your capacity and readiness. Companion workbook with exercises to facilitate your learning. Opportunity for selection as featured ABC/NY arts service. Join us for this member only debrief on Arts & Economic Prosperity 5. Speak directly with Randy Cohen, Vice President of Research and Policy. Sign up, call-in, and join the discussion! Join us for this 30 minute, members-only call to learn more about our new Arts & Economic Prosperity 5 directly from Randy Cohen, Vice President of Research and Policy. We'll provide some top-line findings and tell you more about how your peers use this study! If you will be viewing the live event on your ipad or iphone you will need to download the MobileMeetings APP By E-STREAM.COM, Inc. and enter the meeting number: 277454. Randy Cohen is Vice President of Research and Policy at Americans for the Arts. He recently published Americans Speak Out About the Arts, one of the largest national public opinion studies about the arts ever conducted, and publishes the two premier economic studies of the arts industries—Arts & Economic Prosperity, the national impact study of nonprofit arts organizations and their audiences; and Creative Industries, a mapping study of the nation’s 703,000 arts establishments and their employees. Randy developed the National Arts Policy Roundtable, an annual convening of leaders who focus on the advancement of American culture, in partnership with Robert Redford and the Sundance Institute. 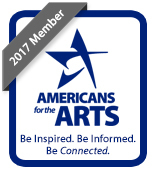 His 10 Reasons to Support the Arts blog recently received the Gold Award from the Association of Media & Publishing—their top honor for best blog post of the year. Randy has given speeches in 49 states and regularly appears in the news media—including the Wall Street Journal, The New York Times, and on C-SPAN, CNN, CNBC, and NPR. 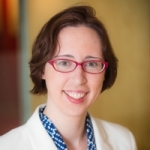 Join Americans for the Arts and PAN Council Chair and lawyer Sarah Conley Odenkirk to discuss the implications that the Visual Artists Rights Act (VARA), 17 U.S.C. § 106A can have on your work in the public art field. Enacted in 1990, VARA is a United States law granting certain rights to artists, and was the first federal copyright legislation to grant protection to moral rights. 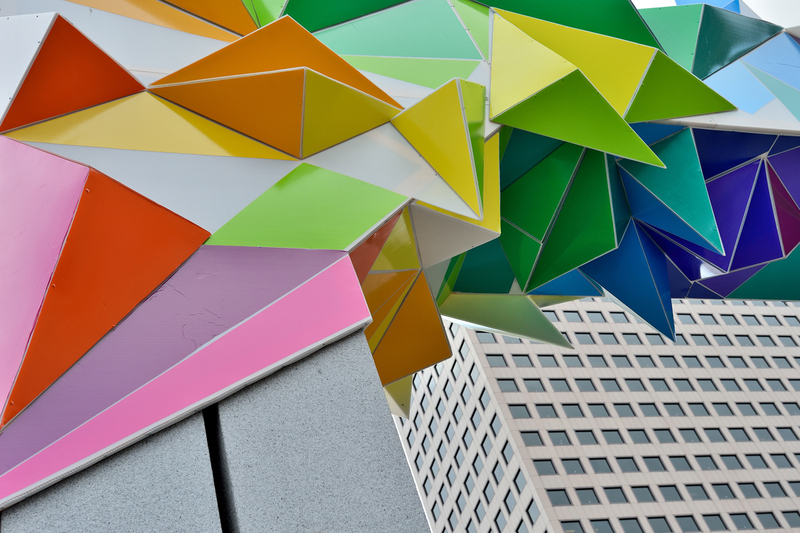 During this call, we will review the impact VARA may have on Local Arts Agencies and Public Art Programs, artists, and others who are involved with the development of public art projects. We encourage you to bring your questions! If you will be viewing the live event on your ipad or iphone you will need to download the MobileMeetings APP By E-STREAM.COM, Inc. and enter the meeting number: 942747. Sarah Conley Odenkirk has been practicing law in the area of fine art for more than seventeen years. She deals with issues faced by artists, municipalities, administrative bodies, art organizations and art-related businesses in all matters related to the creation, sale, exhibition and management of fine art and represents clients at all stages of creative and business development with a focus on public art and policy. 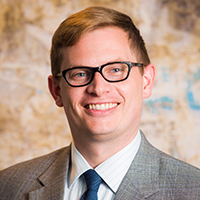 Conley Odenkirk contributes articles to artist trade publications and legal journals on current art-related issues and has a book forthcoming on the subject of contracts for artists. She has presented seminars on contract and copyright issues at the annual PAN Preconference and on AFTA webinars.